Tommy mixes a love of comic rebellion, the poetry of everyday speech and a deep grá for talking, with a refusal to be conscripted into a rational view of the world. Using high theatricality and lots of dirty words, this is a fast paced, exuberant celebration of everything that’s wild, wrong and wonderful about being alive right here, right now. By turns clever and really stupid. BE THERE! 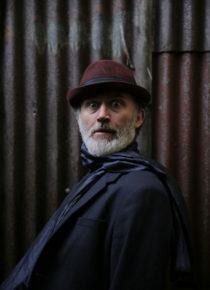 Tommy stars as Da Gerry in Derry Girls on C4 and has performed all over the world as a stand up comedian for the past 23 years.